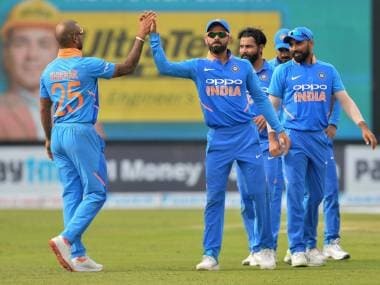 A crucial ingredient of India's staggering home success was sustained intensity, which they somehow haven't managed to replicate away from home. They will need to overcome that shortcoming in order to script history in South Africa. "This side, overall you talk about making some recipe, all the ingredients are there. This series we didn't cook the food well. But apart from that we have got fantastic ingredients. Just have to make sure we are cooking the right way." No, this wasn't a chef explaining the secret behind the making of a delicious dish. This was then captain MS Dhoni explaining how India could have conquered 'Mount South Africa' after the 2013-14 series loss at the home of the Proteas. India competed. India lost. India surprised. India impressed. India raised hopes. Pressure. Chokehold. Pressure. Stranglehold. Pressure. Submission. Pressure. Knockout blow. It might sound like a quintessential strategy of a professional WWE wrestler to overpower his opponent in a pay-per-view event, but here we are talking about the typical theme developed by the Indian cricket team to outclass the opposition in Tests at home. They haven't lost a series at home since the 2-1 loss to England in 2012-13. In fact, they have lost just two Tests in a staggering run of nine series wins on a trot (Three of them away, two in Sri Lanka and one in West Indies respectively). It is this strategy that has rendered them almost unbeatable in their own backyard. India winning at home has become a routine and in a way, a forgone conclusion. It has become a habit. It isn't that they haven't won away — as noted above — but what matters for experts, former players and fans now is conquering South Africa, England, Australia and New Zealand. The last time they won an away Test series in one of these four countries was way back in 2008-09 when they beat New Zealand 1-0 in a three-match series. Almost all teams have recently struggled away from home but that's where the biggest challenge lies for a vibrant India, a chance to take that gigantic step towards greatness. As Virat Kohli and company brace for a new dawn, they will face their first 'real test' in South Africa. India haven't won a single Test series in the Rainbow Nation, not surprising as they have won just two out of 17 Tests there — the joint lowest for them in any country. Numbers, sometimes, don't reveal the real picture. It's not that India have been completely battered away from home. In fact they have competed hard. It was the 2013-14 South Africa tour that re-injected the self belief when a young and inexperienced side pushed South Africa to the limits and came close to winning the series. However, it's been a classic case of 'so near but yet so far' in the away tours since then. 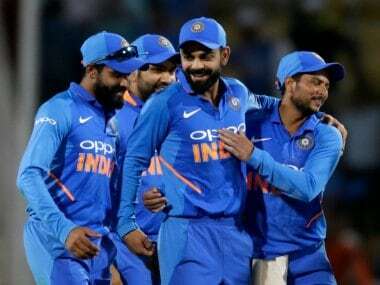 A crucial ingredient of India's staggering home success was sustained intensity, which they somehow haven't managed to replicate on foreign shores. In his first press conference after reaching South Africa, Kohli touched upon a very important fact, but very briefly. "For us, it's about winning sessions." That's where India have struggled away from home. Time and again, they have got into a position of authority but switched off at key moments and lost the series. In the 2013-14 South Africa tour, two bad sessions cost them the series. Having set a target of 458 for South Africa, they couldn't break the attritional AB de Villiers-Faf du Plessis partnership in the post-lunch session on the final day. The Proteas nearly chased down the target. At Kingsmead, Durban, they squandered a solid start on a good batting track and went from 198/1 to 334 all out in the first innings. However, it was in the first session of the final day of the Test where they lost the plot, trailing by 98 runs, they lost five wickets in the morning session to concede the Test and the series. "There were a couple of sessions where we played badly and that had an impact on both the Test matches," captain Dhoni had said after the series loss. The trend continued in the next away series in New Zealand where Brendon McCullums's valorous rescue acts snatched a series victory from the jaws of defeat. In England, after the historic Lord's triumph, they again switched off and lost the series 3-1. Australia tour was a similar story where a gallant effort was neutralised by slip-ups in three sessions, one in each Test which resulted in 2-0 loss. Against top teams, away from home, you cannot afford even a blink of an eye. India's doughty displays have ended up in heart-wrenching defeats because of the failure to maintain sustained momentum and intensity. "If you have an upper hand, (you must) make sure you capitalise on that," Dhoni had said after the 2013-14 South Africa series. "On certain occasions, I felt that we were not able to capitalise on the upper hand. So these are a few areas we need to work on and keep improving." With the start of a new year, the auto-refresh button has been hit. Ravi Shastri has stressed the fact that 'every game is a home game' for the team. An attitude which might help them realise the importance of staying focused. The present Indian side imbues excitement. This is a matured and experienced lot. Going into 2013-14 South Africa tour, only four players had played more than 20 Tests while this time around 14 have crossed more than 20 mark. Back then, there were only three players who had played more than 10 away Tests while this time around, there are only three players in the squad who have not played more than 10 away Tests. The batting unit, as always, looks solid on paper but more importantly, it's the bowling brigade that has everyone salivating. India desperately craved for balance in the past. 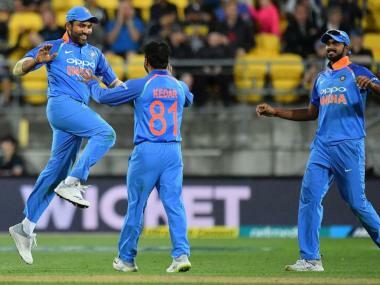 Dhoni's lack of trust on the bowlers stemmed from the fact that over the years, with each passing day on an away tour, those at his disposal, especially the pacers, looked like men longing for their hotel bed over a five-wicket haul. But this army of Bhuvneshwar Kumar, Umesh Yadav, Mohammed Shami, Ishant Sharma, Hardik Pandya and Jasprit Bumrah has instilled hope. "If it's going to be tough for our batsmen, we will make it tough for their batsmen," Shastri beamed in the pre-departure conference. The preparations are on in full swing with match simulations and doctored pitches in the practice sessions to adapt to the conditions. While the 'bounce' is the talk of the town, the minds have been trained accordingly. 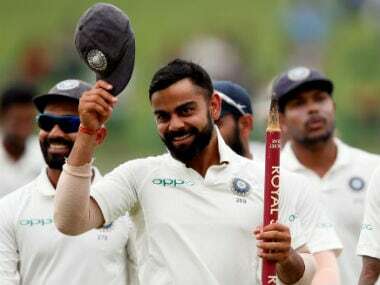 "We have convinced ourselves that it is going to be much quicker and much bouncier than back home and you might get balls that surprise you every now and then," Kohli said in his arrival press-conference. "You can't afford to think there's too much pace and bounce. You rather take it on, believe in your abilities, take it head on, that's key to playing in conditions that are different from your home." The bowlers have also started the adaptability process. Mastering the Kookaburra ball will be one of the biggest challenges for the pace battery. “The Kookaburra is one of the toughest balls to bowl with. It doesn’t do much after 25-30 overs. These are the kind of situations we are tackling in the practice session,” Bhuvneshwar added. South Africa too have a well-balanced side with their pace attack looking lethal as ever. The return of AB de Villiers and Dale Steyn has further strengthened the Protea spine. But India have returned to complete unfinished business. "Back in 2013, we were all very excited to be touring South Africa. We were looking forward to going there and taking up the challenge. We did really well and now have more experience," Kohli said in the pre-departure conference. "The bowling has come a long way. All the guys have more experience now, so the hunger remains the same. We want to go back to try and do what we couldn't do last time. As Ravi bhai especially mentioned, it's an opportunity for us to go back again to try and do the same thing in a much more consistent way and in a better way so that we can get the results we want." Come 5 January when India step in the Newlands arena, there will be no substitutes for hours and hours of implacable concentration, patience and focus. There will be no alternatives to relentless aggression and discipline. With history in sight, the process will be the key. Just like the last tour, India have rich ingredients in their armoury. Experience and maturity serve as top-ups. All they need to do is cook it in the right way to enjoy a royal supper.